There’s a ton of talent across the state of Kentucky in the sophomore class. 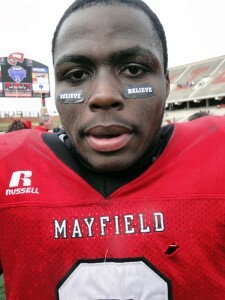 Perhaps the best prospect in the western portion of the state is Mayfield High School linebacker/running back Johnathan Jackson. The 6-foot, 195-pound Jackson is already hearing from Kentucky, East Carolina and Oregon among several other schools. 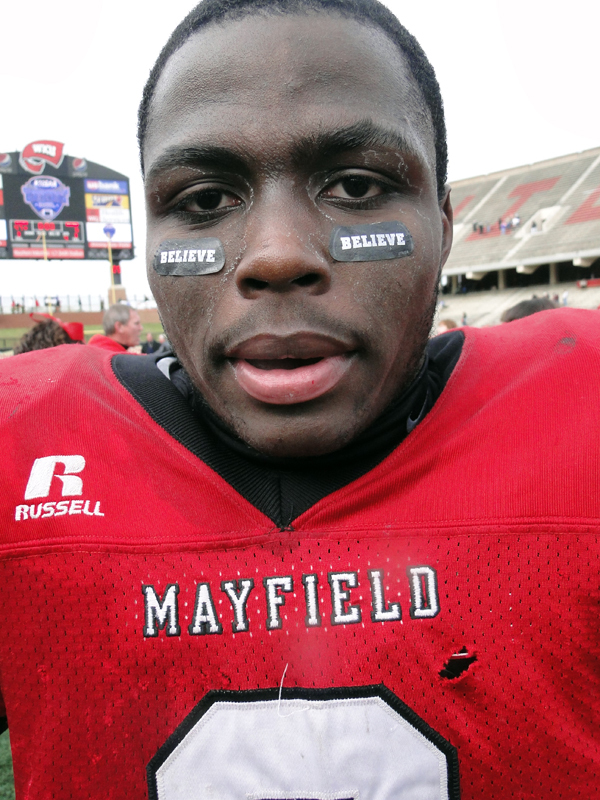 Jackson ran for 71 yards and two touchdowns and had 8.5 tackles, including two sacks to help Mayfield to a 47-6 victory over Hazard recently in the Class A state title game. On the season, Jackson led the Cardinals in tackles and rushed for 1,356 yards and 17 TDs. While he excels on both sides of the ball, Jackson said he “likes defense better” and projects at the Division I level as a linebacker. Jackson said all the attention keeps him grounded.